I am far from a professional cake decorator, but have always had a strong interest in it. As a matter of fact, my father was a baker. This is probably why I have always had this penchant for baking and decorating. When I was given the opportunity to try out these Russian decorating tips, I jumped at the chance. Keep in mind that I have never ever tried decorating a cake in my life. I was always the mom with the ugly cupcakes that tasted great at the bake sale. The first thing I thought when I got these tips was how much fun it is going to be to try them all out. There are so many different tips and there are even pastry bags included! 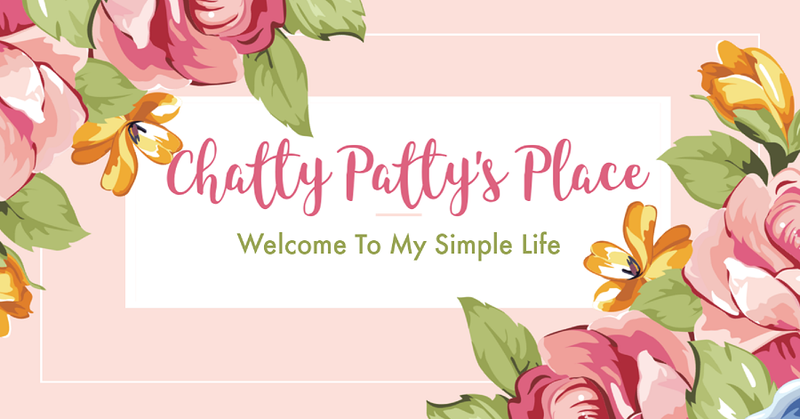 There are also recipes, cleaning brushes and more! It really does have pretty much everything I need to get started. I decided to elect my sister to help me out with my fun project, since we usually bake cookies together, I thought she would enjoy this project as well. We had such a blast! We tried out a few of the tips and I think we did pretty good for our first time! I can't wait to keep practicing and having the prettiest cupcakes and cakes! I checked out some decorating videos online and got some great ideas for how to make buttercream and how to mix colors to get a rainbow effect. Here is my first attempt at trying out this tip. I think I did pretty good! We were playing around with different ways some of the tips could be used. I like the tip brush that comes with the set. It helps me clean the little nooks and crannies in the tips. This mini cake was my favorite. I love the color combo and the tip we used. It reminds me of a bridal bouquet. Thanks to my sister for letting me use her kitchen. She has a nice huge counter! Here I am posing with my creations! Pretty rainbow effect! I love this design! 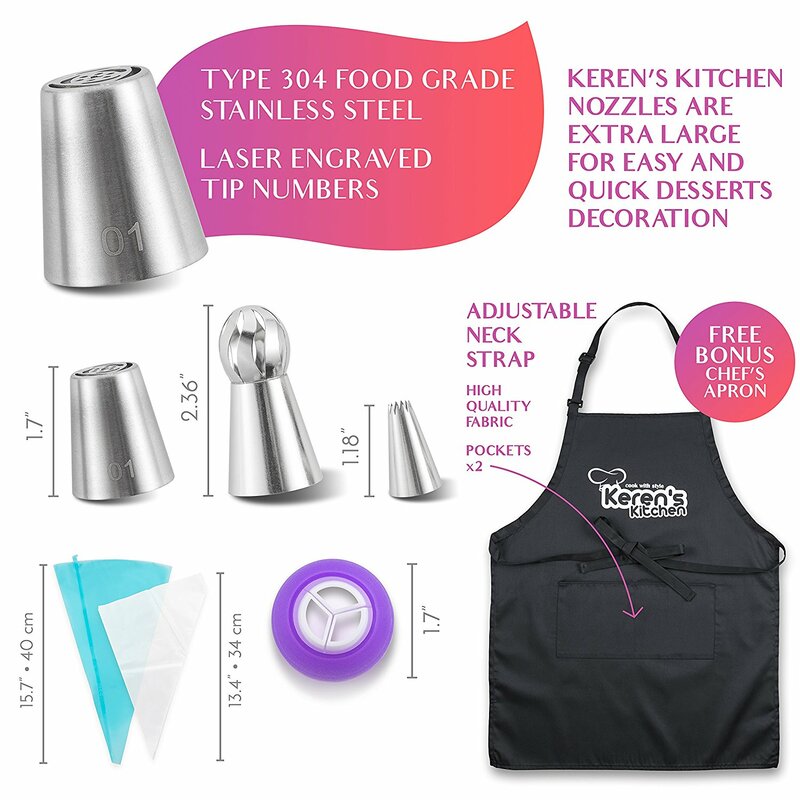 Check out everything you get in Keren's 55 pc. 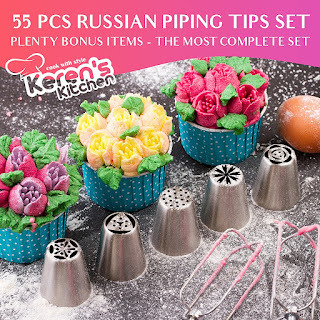 Russian Piping Tips Set. ❤ A HUGE SET OF PIPING TIPS, 57 PIECES IN ALL - Includes 21 extra large Russian Tips, 6 regular tips with a coupler,, 2 large sphere ball tips, 2 size of 3-color Couplers, 20 disposable pastry bags, one silicone reusable decorating pastry bag, one cleaning brush, Instruction manual with tips and recipes ● It is everything you need and more! ❤ CREATE FLOWERS AND OTHER BEAUTIFUL SHAPES WITH ONE SQUEEZE - It is now easier than ever to create stunning floral designs including roses, tulips, lilies and more ● No real cake decorating skill is required ● Easy to use on your first try! ❤ SUPERIOR QUALITY! - MADE FROM FOOD GRADE 304 STAINLESS STEEL - with seamless one-piece construction. 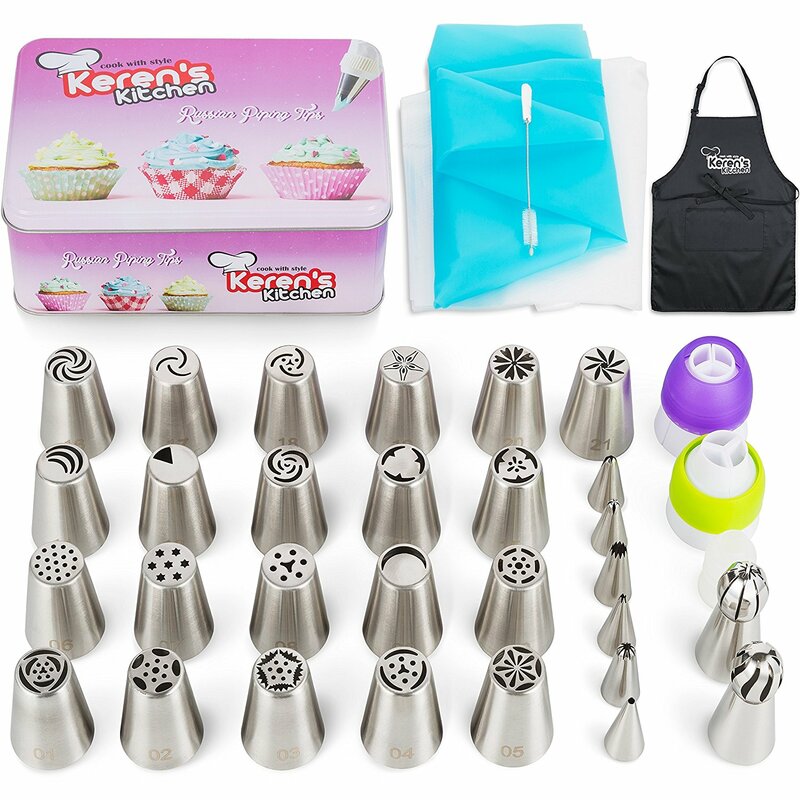 our Russian nozzles tips won't break, rust, or crack, will never tarnish or corrode, as their welding process ensures they hold their shape and last you for life ● Easy to clean ● With a beautiful chrome finish ● The only set that each Cake Decorating Tips Is Numbered! ❤ 2 BONUS EXTRAS! - A FREE GIFT OF A GREAT PROFESSIONAL BLACK CHEF'S APRON - Made of 35% cotton / 65% polyester, With adjustable neck strap and two pockets. Kitchen Cooking Apron for Women's/Men's ● Also FREE GIFT of a beautiful painted Tin Box to store your Cake Decorating Kit ● The Perfect gift for your friend and family! To purchase this kit, please visit Amazon. Use this code: The code is : JAEJ-UVV6HG-MZLLCR for a 3% discount! With your butter at room temperature (soft, but not melted), beat it for a few minutes with a hand mixer or with the paddle attachment of your stand mixer on medium speed. Gradually add the powdered sugar while mixing at the lowest speed until the sugar has been incorporated with the butter and you reach the desired consistency (at least 3 cups of sugar). Increase mixer speed to medium and the vanilla, salt, and 2 tablespoons of milk/cream. Beat just until smooth or you will mix in too much air. If your frosting needs a more stiff consistency, add more sugar, about a 1/4 of a cup at a time. If your frosting needs to be thinned, add more milk or cream, 1 tablespoons at a time. If coloring your frosting, mix it in at the end until evenly colored. Disclosure: I received this product to review at a discounted price, for my honest personal opinion. No other compensation was received. 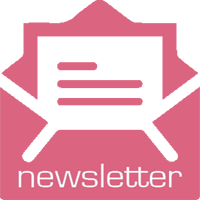 This post contains affililate links. I had fun helping with this project! Thanks! I have always wanted to try decorating my own cakes, this would be great for a reasonable price to try these out. Thanks for sharing!